It has now been a week (but it seems much longer) since we learned that Camp Hess Kramer and Gindling Hilltop Camp were essentially destroyed in the Woolsey Fire (together with a number of other camps, including Camp JCA Shalom, Camp Bloomfield, the Salvation Army Camps, and I’m sure many others, including former BSA, GSA, and other camp facilities). At CHK, all that I know remains are one or two cabins that were cinder-block, the Arts and Crafts area, the new dining hall (although it sustained some damage), the conference center/infirmary/office complex, and of course, Inspiration Point. At Hilltop, all that remains are some cinder-block cabins, the Arts & Crafts center / Pool / Roth Room, and of course, the menorah at the top of the hill. We know, of course, that camp will rebuild. The facilities were insured, the congregation has both means and motivation, and the alumni are an active group. The camping may be away from Malibu this summer while construction occurs; there is no formal announcement of the 2019 location yet, but camp will happen for the kids. My hope, for 2019, is that the kids can return to the Pioneer spirit: returning to the grounds to recover artifacts and material, and creating new art out of the old memories to ensure that what was camp is remembered in what camp becomes. For those of us who are alumni of the camps — from the old-timers who were there in the very beginning going back to the Presbyterian Conference Ground days to the first days in Malibu, to the folks there when only CHK existed in the 1960s, to the pioneers and kids of the 1970s (my generation), to the generations since in the 1980s and beyond — for all of us this has been an interesting week. Memories that were in the background are resurfacing. Facebook groups are providing an avenue of reconnection within camp generations, and establishing new connections between the generations. We’re sharing pictures, stories, artifacts. Most importantly, there’s a sense that we’re here, camp lives within us, and we will be there with boots on (and walkers, as necessary 🙂 ) to rebuild however and whenever we can. Camp was a safe spot for many, a formative spot for all, and it made us who we are today. From a group that was created last Sunday morning, we are now over 1,500 strong. Unified and voice in spirit. We’re ready to take the values of Al Slosha D’varim and use them to bring camp back through Torah values, our hard work (avodah), and donating funds (g’melut chasadim). For me, the destruction has reopened the good memories of the period from 1969 to 1979, the good people, the good times. It reminded me why I go to Malibu whenever I can afford to (either in terms of time or funds). Camp is where I had great joy, but it is also where I had sadness. 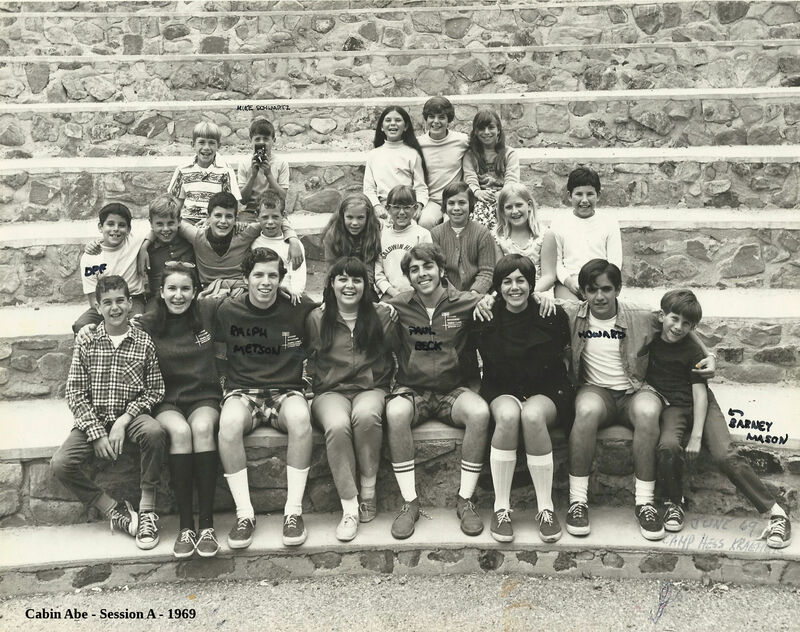 It was at camp that I learned that my brother had died, cutting the session I went to in 1970 short (and I will always be grateful for the caring from my counselors — Sandy Strauss, Scott Shershow, and Joel Saltzman). But it was also at camp that I acquired self confidence and grew into who I am today. The place and the beauty will return; the scars will heal. Out of the ashes something stronger will form; there will be a new generation of pioneers rebuilding camp. And it will be good. Very very good. P.S. : If you want to donate to the camps, visit here. P.P.S. : If you want to see what happened, here are some good news reports from ABC 7 and NBC 4; an exploration right after the fire; an article from the LA Times; and an article from the Huffington Post. I went to CHK in 1969, and Hilltop 1970 to 1981 and wrote a letter that had many of the same exact words and sentiments which feels strange that felt and expressed the experiences of those times.